Allocate the consideration to the lease and nonlease components. Each of these steps can be complicated. Happily, the FASB allows lessees to make a policy election, called a practical expedient, to not separate nonlease components from their related lease components. While the policy election simplifies the calculations, it also increases the ROU asset and related liability for those leases, so you need to carefully weigh the pros and cons before selecting or bypassing this practical expedient. 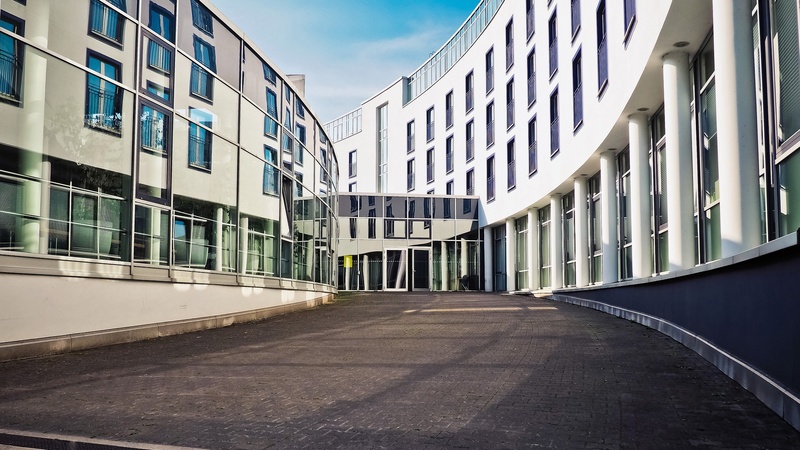 A hallmark of the new lease standard is the degree to which judgment is required, which means lessees must understand what is included in a lease payment for office space or a building. For example, are there other goods and services provided? They might be titled Common Area Maintenance (CAM), or they might be described in other ways, such as maintenance, trash removal, or other operations services. These goods and services are a nonlease component of the contract because they relate to the right to use the office space or building. Click here to learn more about identifying lease and nonlease components under ASC 842. Also, because there is no standard definition for CAM, lessees must be clear about what is included in CAM. For example, if a lessor chooses to include utilities within CAM, the lessee must then identify utilities as a separate nonlease component. It’s important to note that categorizing CAM as a nonlease component is a change in its treatment. Under ASC 840, CAM was a lease component because it was included in executory costs. Under ASC 842, lease payments with fixed maintenance payments like CAM will be lower than the lease payments for the same lease under ASC 840 - unless the practical expedient is elected. We explain this concept more later on. Once CAM and all other components are clearly - and narrowly - defined, the lessee identifies the contract consideration (payments) related to lease and nonlease components. This can be confusing when the value of items like real estate taxes or insurance are explicitly included in the contract. Because these are neither a good nor service related to using the office space or building, they are neither lease nor nonlease components. The value of these items is included in the contract consideration to be allocated. Sometimes the contract is clear about its lease components: the value of rent vs. CAM, for example. Despite this, ASC 842 does not allow a lessee to use these contract amounts by default. An analysis must be conducted, with contract consideration allocated based on observable standalone prices. What is rent without CAM and other included services? What is the cost of services like nightly cleaning if contracted independently? If observable standalone prices are not available, the allocation must be based on estimates that maximize the use of observable information. This includes potentially going to both the lessor and other suppliers of the same or similar components. Any estimates need to be reasonable and consistently applied. Further, if there are certain contract modifications or there’s a re-measurement of the lease liability later on, ASC 842 requires lessees to re-measure and reallocate contract consideration. A lessee can choose, by class of underlying asset, not to separate nonlease components like CAM from their related lease components. If this election is made, all cash flows associated with the nonlease component are allocated to the related lease component. While this practical expedient can significantly reduce the complexity of data gathering, analysis, and calculations, it will increase the lease liability on the balance sheet. If a lessee elects this practical expedient and there is a variable element to CAM, such as an end-of-year true-up of expenses, then the variable element is accounted for as a variable lease expense. If the practical expedient is not elected, then any variable CAM is accounted for as a nonlease component. A lessor and lessee enter into a five-year lease for office space within a building. The fixed annual lease payment is $13,000, itemized in the contract as $10,000 for rent, $2,000 for real estate taxes, and $1,000 for property insurance. The lessee is required to pay taxes and insurance. The $13,000 payment also covers the lessor’s performance of common area maintenance (cleaning of common areas, parking lot maintenance, and providing utilities). The taxes and insurance are not components of the contract because the lessee’s payments of these amounts are a reimbursement of the lessor’s costs and not a payment for goods and services in addition to the right to use the building. Therefore, the lessee includes the value of taxes and insurance in contract consideration, but does not allocate to these items. The CAM is a nonlease component of the contract because the lessee receives a service from the lessor (maintenance activities it would otherwise have to perform itself or pay someone to provide). Therefore, this contract includes two components – a lease component for the right to use the building, and a nonlease component for the maintenance. The $65,000 contract consideration is allocated between those two components. The amount allocated to the lease component will determine the size of the related right-of-use asset and lease liability. A lessor leases three different offices within a building to a lessee for three years. The contract includes CAM, which is limited to cleaning the front lobby. The total contract consideration is $600,000, payable $200,000 per year. Each of the three offices meets the criteria to be a separate lease component. The nonlease CAM is accounted for separately from the lease components. The lessee allocates the contract consideration to the separate lease and nonlease components based on observable standalone prices for the cleaning services (cleaning services for similar-sized lobbies provided by other suppliers) and for the office space (leases of similar office space within the building and by other lessors). The lessee first allocates the $600,000 to the lease ($550,000) and nonlease ($50,000) components on a relative basis using their observable standalone prices, then accounts for each separate office space lease component using the allocated consideration (842-20). The nonlease CAM component is accounted for outside of ASC 842. If the lessee in the example above had made this election, the CAM would not be separated from the lease components and the contract would be accounted for as containing only three lease components. Assuming that stand-alone rent for each office combined with CAM were available, the lessee would allocate the $600,000 contract consideration to the three lease components on a relative basis, then account for each separate lease component using the allocated consideration (842-20). Common area maintenance is just one aspect of analyzing office space leases for the new lease standard. Click here if you’d like to download a cover sheet for gathering all information related to office space leases. Although the new lease standard doesn’t go into effect until 2019/2020, CPA firms and their clients should start discussing all elements of their leases because required decisions impact both the transition and day one accounting. Contact LeaseCrunch® today to learn how we can help.